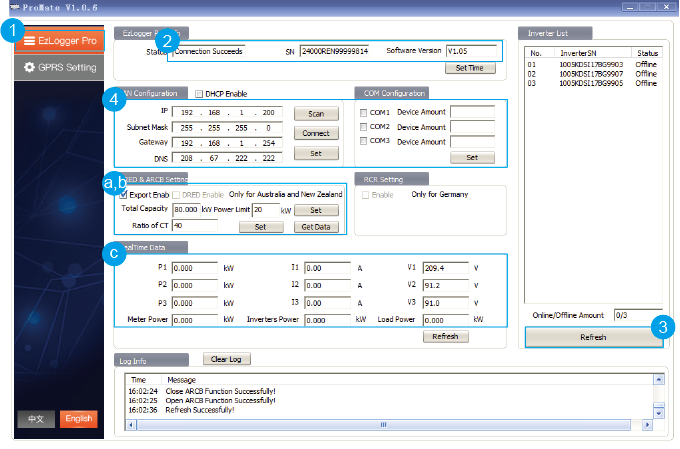 Limit the max power exporting to grid from solar system after feeding loads. CT detects is there any or how much current stream flowing to/from the grid, then it sends signal to tell inverter to reduce or increase output power accordingly. 3-phase EzMeter communicates with the inverter and detects (on each phase) if there is any or how much current stream flowing to/from grid, then feedbacks the data to the inverter, which will know how much power (in total) it should produce after calculation. For the connection, CT1 (connected on Ia & Ia*) must be connected to the same phase line with Ua, same for CT2 & Ub, CT3 & Uc. Wrong wiring will cause inaccurate data detection which further lead to malfunction of solar system. 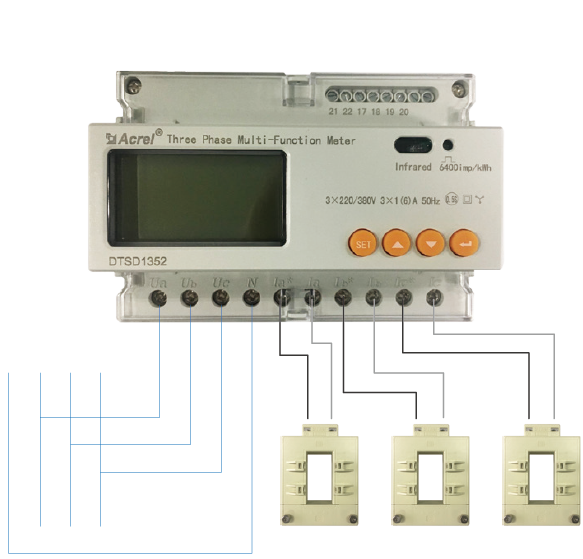 3-phase EzMeter communicates with inverter and CT detects (on each phase) is there any or how much current stream flowing to/from grid, then feedbacks data to the inverter, which tells how much power (in total) it should produce after calculation. EzMeter + CT detect curent flow and communicate with Ezlogger Pro, then EzLogger Pro sends commands to inverters to drop output power. production to achieve power export limit.